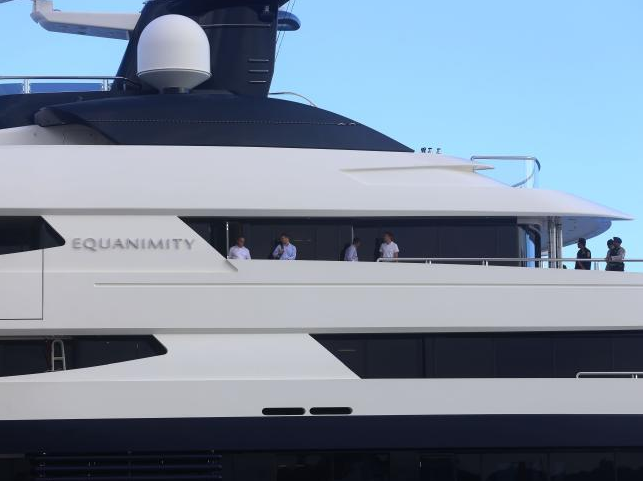 According to local reports, 91.5m M/Y Equanimity has been seized in Bali. 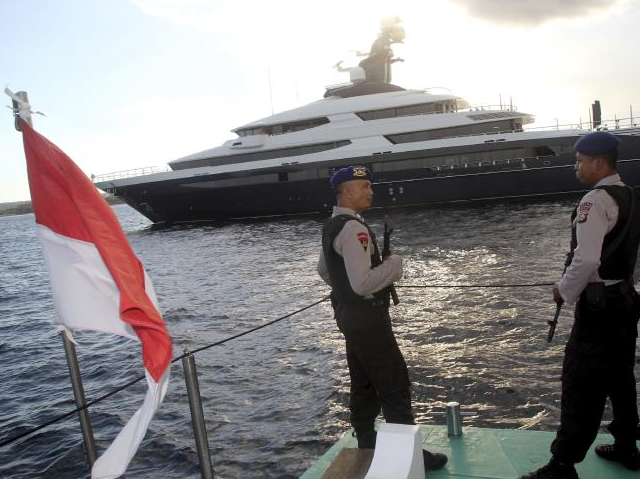 The yacht has been embroiled in a fraud investigation for the last two years, as the reported owner, Jho Low (also known as Low Taek Jho) a prominent Malaysian financier, is implicated in an ongoing criminal investigation with the US Department of Justice. The vessel is accused of cruising in South East Asian waters to avoid being detained. Reuters reports that Muhammad Iqbal Abduh, of the Indonesian National Police, revealed in a statement that the Automated Identification System (AIS) aboard Equanimity was turned off whilst cruising in the Philippines and Singapore. 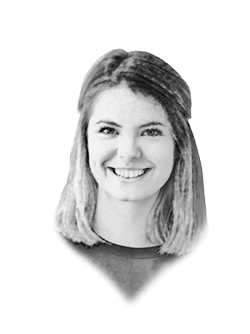 "The most likely reason to turn off AIS, other than a system failure, would be for the purpose of anonymity," says an experienced ex-deckhand, who did not wish to be named. When I cited the circumstances surrounding the case, he explained that there are legitimate reasons for turning off the system but, he admits, "If you were trying to hide from authorities, it would be a method to avoid detection." 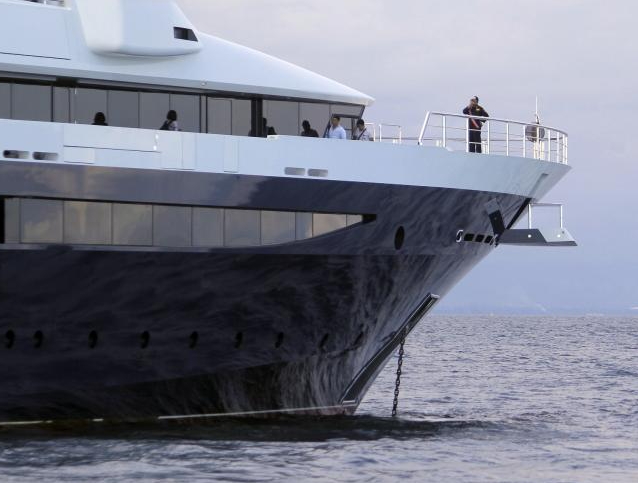 The Department of Justice (DoJ) has been investigating alleged illicit behaviour of the yacht's parent company, 1Malaysia Development Berhad (1MDB) and various business associates, since 2015. In June 2017, they moved to seize more assets from 1MDB, including Equanimity, high-profile film rights and fine art, which they believe were purchased using stolen funds. The DoJ estimates that $4.5 billion was misappropriated by Malaysian public officials, including Jho Low. Local news outlets report that all 34 crew aboard Equanimity were questioned and their immigration papers checked. The captain has now reportedly been identified as a suspect in a fraud case, telling investigators that he did not know who owned the vessel. 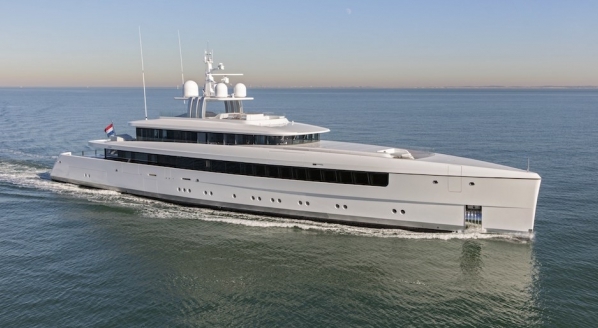 As the fate of Equanimity (delivered by Oceanco in 2014) remains unknown, Low has blasted the behaviour of the DoJ, accusing them of "continuing with its pattern of global over reach - all based on entirely unsupported claims of wrongdoing," in a recent statement released through his representative. What does Low mean by this, and why is the US targeting Equanimity in foreign waters? "In legalese, what is being argued [by Low] is that the DoJ does not have jurisdiction over the matter because there is nothing that 'links' it to the US and therefore brings it within the jurisdiction of the US," Adam Ramlugon, managing partner for Bargate Murray explains. "I would imagine one way in which they might argue they have jurisdiction would be that the allegedly misappropriated funds were (or are) denominated in dollars, meaning they will have had to have gone through a US clearing bank at one time or another. This could be used to found an argument that the 'dirty' money was subject to US jurisdiction at that time, which entitles them to carry out the sort of multi-jurisdictional asset tracing exercise they are now embarking on." The Department of Justice (DoJ) has been investigating alleged illicit behaviour of the yacht's parent company, 1Malaysia Development Berhad (1MDB) and various business associates, since 2015....The DoJ estimates that $4.5 billion was misappropriated by Malaysian public officials, including Jho Low. In a statement on his blog, Malaysian communications minister Salleh Said Keruak argued that there was little evidence to support these claims. "Apart from the bare allegations contained in the lawsuit, the US DoJ has not shown any tangible proof that Jho Low is the actual owner of the yacht, or that it was purchased with funds from 1MDB." He added further that this was an example of "Fake news". 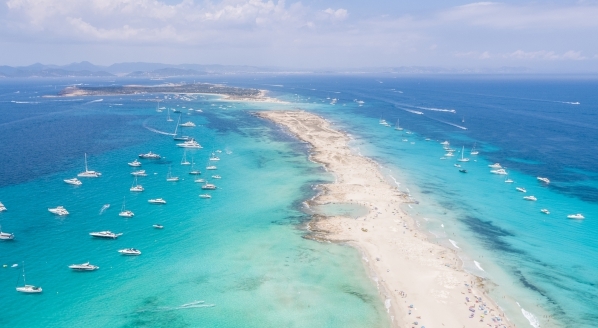 This ambiguous ownership of Equanimity further complicates the seizure of the vessel, but isn't unusual within the yachting market. "The concept of placing a yacht or ship in the ownership of a company or other such structure is not a new one. Indeed, there are very sensible reasons for doing so in that a beneficial owner can limit their liability," continues Ramlugon. However, it can indicate that the owner of the vessel doesn't wish to have their relationship with the yacht publicised. "The flip side to all of this is that less scrupulous individuals might use the options they have available to them to obscure their relationship to a particular yacht, perhaps to deliberately make it difficult to link them to it," he adds. 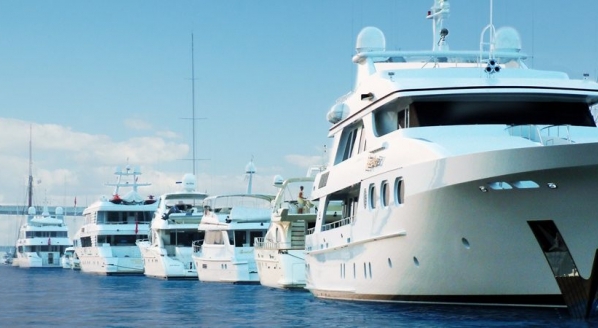 If a criminal act has taken place and assets are to be seized, it would be self-evident for the DoJ to focus on the yacht, as such a prominent luxury possession. Due to the high-profile nature of the vessel, previous coverage from news outlets and reports place huge emphasis on Equanimity, even before it was seized last week. The negative publicity for the industry when events like this occur cannot be disputed. Much like Sir Philip Green in late 2016, such a conspicuous display of wealth is an easy target for government agencies and reporters worldwide. 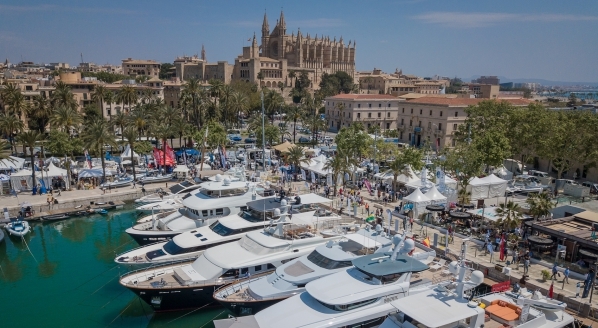 For every news story that details alleged illicit behaviour of a yacht's parent company, it overshadows the positive economic impact that superyachts continue to have across the globe. But for now, as recent reports indicate that the US DoJ has arrived in Indonesia to claim the vessel, the future for Equanimity, her crew and her owner, remains unknown.